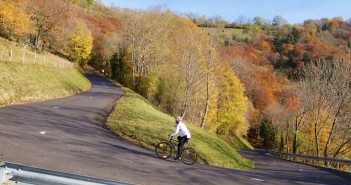 You are at:Home»Posts Tagged "autumn"
Cycling Mont Salève. Autumn photos of this great mountain. Another beautiful day. The Fall colors are out in full force. Barry and I rode from Switzerland into France to the Juras near Thoiry up a quiet road to Le Tiocan – a scenic lookout point overlooking Geneva and the Lake.